Why do some social problems persist. . .
Why do some social problems persist despite massive expenditures to solve them? 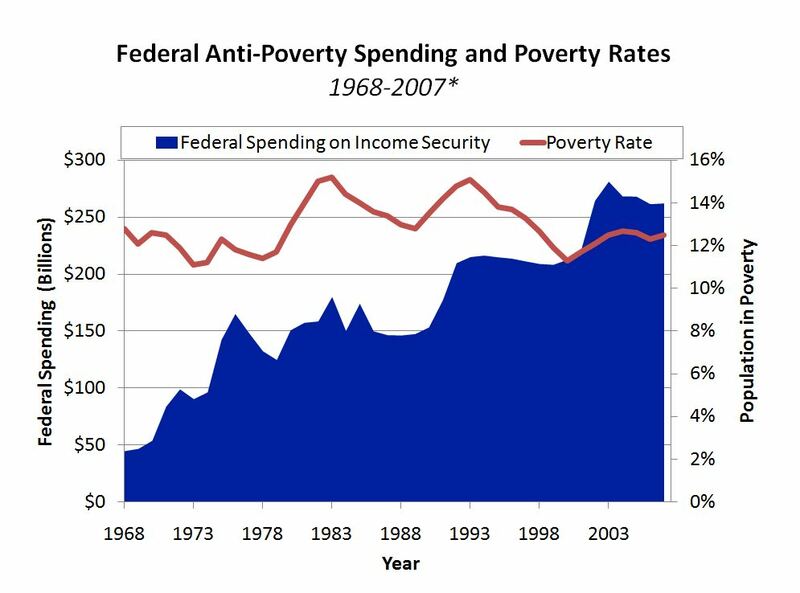 From 1968 to 2007, the amount of money spent on income security programs – the bulk of all federal anti-poverty spending – increased 484% in constant, inflation-adjusted dollars. Yet, the poverty rate is higher today than in the early 1970s. 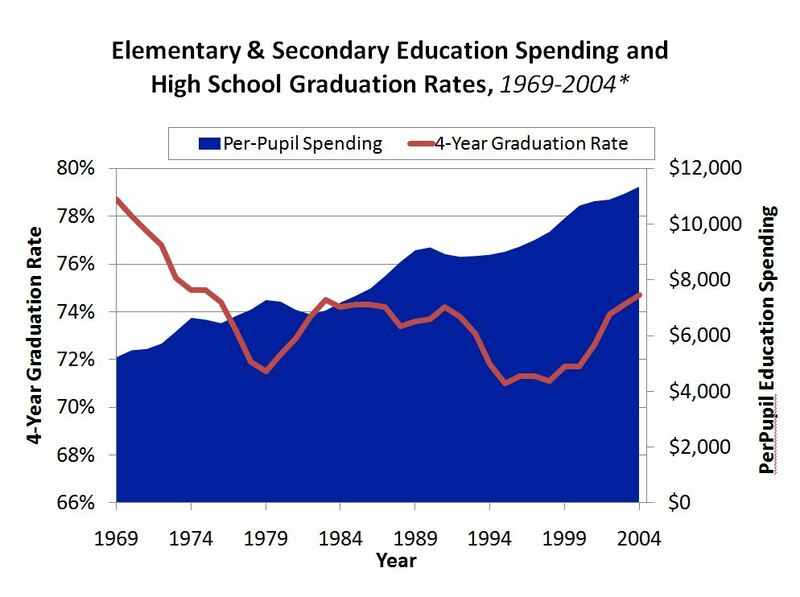 Per-pupil spending – in constant dollars – on public K-12 education has more than doubled since 1969. Yet, measures of education attainment have fallen (e.g. On the U.N. Education Index the U.S. ranking has dropped from No. 1 in the world in 1980 to No. 17 in 2010). 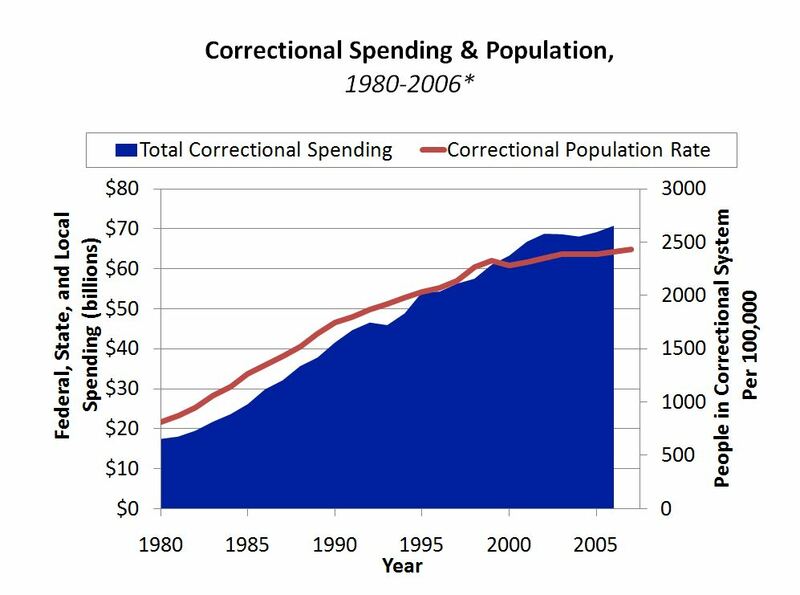 We are incarcerating people at three times the rate we were in 1980 and four times the rate we were in 1970. Consider, too, that as public spending on education and a wide array of social programs has increased, so too has the number of not-for-profit organizations. Yet, many major social indicators have gotten worse instead of better. The root causes are debatable, but it’s safe to say there’s no single reason. Regardless of the causes, we have an enormous problem for which there is no quick fix. Long term thinking is essential, as is a willingness to face facts. There is an enormous amount of data showing the links among poverty, low education levels, crime rates, teen pregnancy, and a number of health issues. They are inter-related and tend to negatively reinforce each other. Yet, we tend to treat them individually. 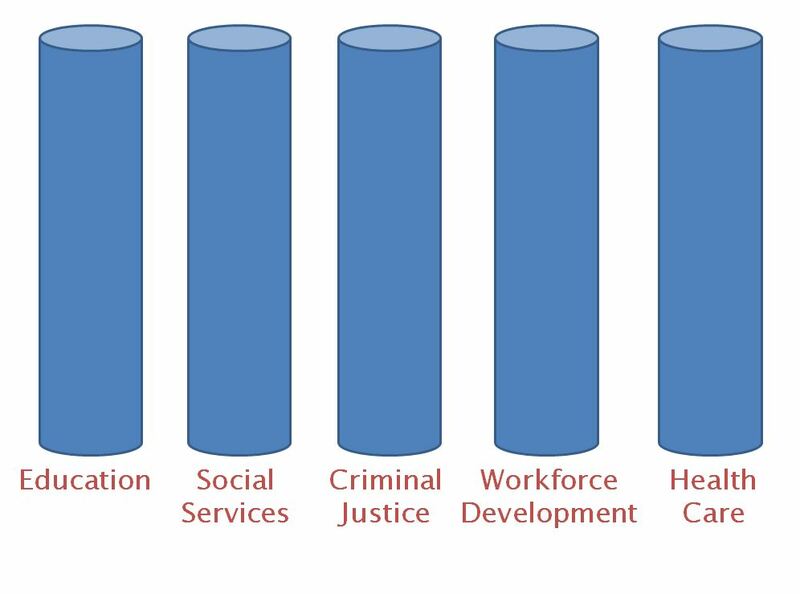 The public sector has a lot of resources, but typically administers them in large, bureaucratic silos – education, workforce development, social services, criminal justice, housing, transportation, etc. More often than not, those silos don’t communicate well with each other. Meanwhile, the not-for-profit sector is composed of hundreds of thousands of mostly small organizations that do a lot of good work, but that typically focus on one problem, one target population, or one (often tiny) geographic area. It’s an incredibly fragmented sector that has great difficulty replicating what works and achieving scale. 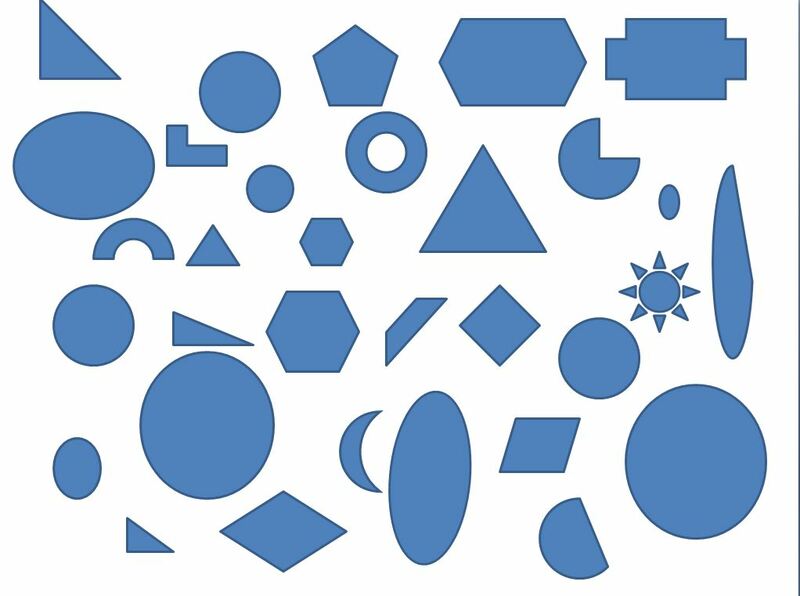 While a lot of the pieces needed to reduce some of the problems do exist, neither of our “helping” sectors is structured to deal effectively with complex social problems. Yet, our experiences working with people in high poverty situations reinforce the notion that if we are to have significant, long-lasting impact helping people move out of poverty, we must work with them holistically, in many cases with the whole family, and over an extended period of time. We cannot solve our major social problems by layering on another massive bureaucracy, and spending more money to do more of the same won’t work either. We must try some different approaches. We can improve overall results by learning how to combine resources across organizational lines and across the sectors, aligning them in new ways toward specific goals. The not-for-profit sector could become more effective with a lot of consolidation, and social enterprises (organizations that operate businesses as a means of accomplishing a social mission) can play an increasing role, as can the emerging field of impact investing. Our problems are pervasive enough that we need to attack them on multiple fronts simultaneously. But to substantially alleviate poverty in the U.S., the greatest long term impact would come from focusing on children in low income households from the womb to kindergarten. I’ll write about that in my next post.